As a dog trainer, one of the most common problems I get asked for help with is getting a dog to walk without pulling on the leash. Loose-leash walking is just like any other trick we may teach our dogs. It’s about finding a way to make it fun for the dog. Walking with a loose leash isn’t natural for dogs. There is nothing equivalent in the dog world. We humans move so slowly! And to add to that, what’s the fun in only walking straight down the side walk when there are fun and interesting smells, sights, and sounds in every direction? 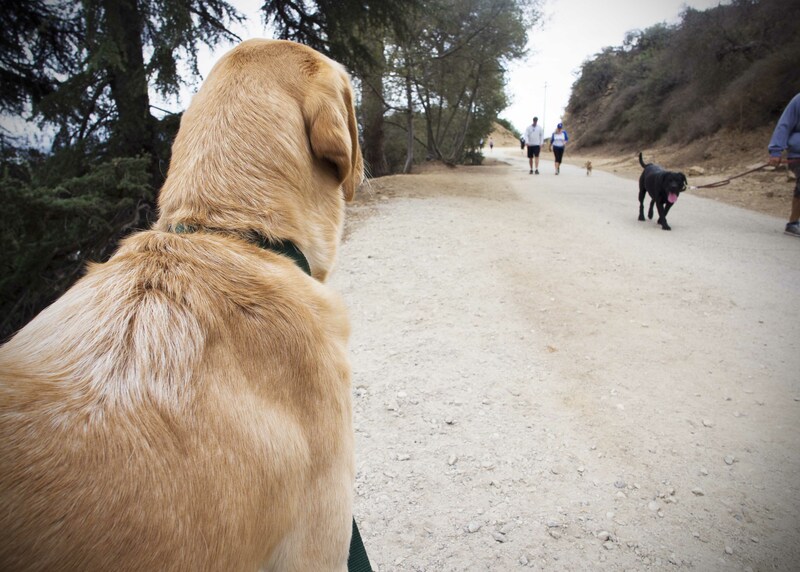 It’s our job to help our dogs see the fun in walking next to us. Define what you want. This is critical to teaching ANY dog behavior. 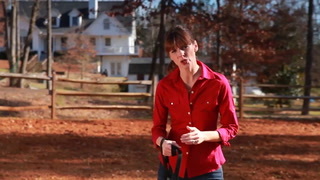 As the handler you have to decide what loose-leash walking means to you. Does it mean walking with you with the dog’s attention completely on you the entire time? Or is he walking next to you but allowed to look around at his environment? Is any tension on the leash ok? (If you’re using a Flexi-leash, there’ll always be tension.) This is completely up to you, but it must be decided. If not you’ll be inconsistent when you teach, and your dog will get confused. 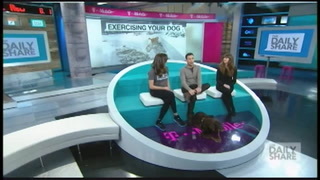 Getting your dog “on the phone.” Getting your dog on the phone with you simply means getting his attention. If you aren’t able to get his attention focused on you in your house free from distractions, you’re definitely not going to be successful outside where everything is exciting and new for your dog. To practice getting your dogs attention, wait for him to come to you or even make eye contact and reward. Get the right equipment. I recommend using a martingale collar and 4 or 6-foot leash for walking. If your dog is a severe puller, I recommend using a front-hook harness. Choke chains, prong collars, pinch collars, and shock collars do not work. Caution: the allure of a tool that seems to quickly fix a dog’s pulling problem can be very tempting. However, punishment will have the opposite result that you’re going for: your dog will not learn to enjoy walking next to you. Instead, he will learn that going on walks with you results in pain and discomfort. Get great reinforcement. Take a treat bag filled with tasty treats of your dog’s liking. Remember, what you have needs to be more interesting than the distractions your dog will encounter outside. I like to work on loose-leash walking before meal times with my dogs so they’re extra hungry. You may even want to take your dog’s meal on the road with you and use it as treats! If your dog isn’t as into his normal dog kibble, mix in some higher value treats. 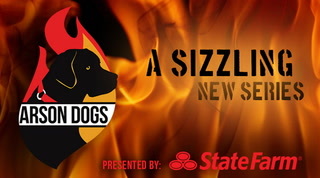 For my dogs, tiny piece of hot dogs do the trick. Find your dog’s favorite reinforcement. Reward often. At first, do this AT LEAST every couple of steps. As your dog is able to go for longer periods of time walking next to you, you can slow down your rate of reinforcement. This is the most common problem I see with handlers who have dogs that pull: not treating often enough when the dog is doing something right. Let go of that leash! I often make new dog handlers put the loop of the leash around their hand and then put their hand in their pocket. What this does is makes you, the dog handler, give the dog the full length of the leash. This allows the dog the choice to stay with you or run ahead (which gives YOU the opportunity to reward good choices.) When you force a dog to walk next to you, you’re not actually building value for loose-leash walking. You’re simply inhibiting what the dog actually wants to do. This will not make the dog want to stay next to you; it will most likely make him want to pull ahead harder. 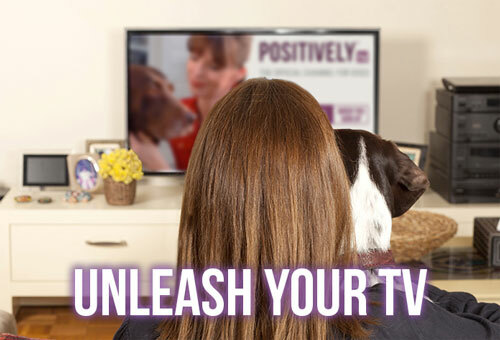 Be ready to reward any attention your dog gives you. This means eye contact or any other interaction your dog gives you. This will encourage your dog to continue to watch you and want to walk next to you. Mix up reward amounts. Sometimes feed just one treat and others feed several. Every now and then stop and feed a handful and tell your dog how fantastic they are. This will keep your dog’s anticipation level for being with you high. He’ll never know what he’s about to get! Make walking with you unpredictable. Slow down, and then speed up. Then change directions. Reward your dog each time he chooses to stay with you. Anticipate distractions. Look ahead to notice what things may be potential distractions for your dog so that you can reward your dog when he sees those distractions and chooses to stay with you. Stop along the way and work on other behaviors. Stop at random and ask for other behaviors - even simple behaviors like sit or down. Doing this will keep your dog on in anticipation of what you will do next. If your dog is pulling toward a distraction and will not come back to you, turn and walk the other way. Reward your dog when he catches up to you. Take things slowly and only train in short bursts. The type of training listed above requires a lot of concentration - especially in distracting environments - and can be exhausting. As your dog starts to build good, loosh-leash habits, you can lengthen the time of your training sessions. Realize that your dog does not know better. Remember that walking with a loose leash isn’t something that is natural for dogs. It may take some time for your dog to solidify these good habits. Our dogs show us on a constant basis what is valuable and important to them. If your dog is pulling ahead consistently, it simply means that walking next to you isn’t as valuable or meaningful to him as whatever he is pulling toward. Be patient, and enjoy learning with your dog. You’ll find that this type of work with him will not only make his leash walking so much better. It’ll strengthen the bond you two have in huge ways. Have ideas for future training articles from Kevin? Email [email protected] for suggestions or training questions! You may just see your question with answer show up on the blog! Kevin Ballance is a service dog trainer at Canine Assistants, a non-profit organization which provides service dogs to children and adults with physical disabilities, seizure conditions, and other special needs. 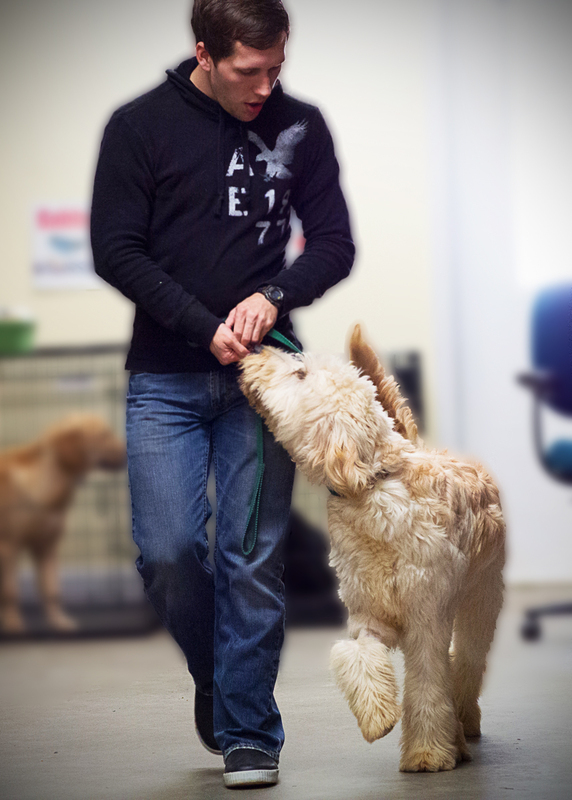 Kevin’s method of training is called Choice Teaching, a technique created by Canine Assistants founder Jennifer Arnold that empowers dogs to think and make their own choices. You can find more from Kevin at www.lifetheuniverseanddogs.com or on Twitter and Instagram - @kevinballance. Kevin Ballance is a positive reinforcement trainer, dog training columnist, and service dog trainer at Canine Assistants. He is the owner and handler of Henry the Spokesdog, who represents Canine Assistants all over the country. Kevin is also a professional pet photographer in the Atlanta, GA area.